At first glance perhaps only those from Southern California will understand how important the BYOB is for OTL, I’ll explain the SOS in just a moment. First, the OTL’s FAQ’s and why BYOB, or Bring Your Own (non-glass) Booze/Bottle/Beer, is such great news for serious OTL ballers and fans alike. Despite an earlier UT San Diego article in May which announced that there would be a ban on BYOB for the popular Over-The-Line Tournament 2014, yet now BYOB is back on! This controversial hurdle successfully jumped just days ago after a city permit was acquired, allowing an exemption to this new(ish) controversial beach booze ban laws. For all the specifics about rules and regulations for this years 61st annual OTL Tournament which kicks off bright and early on July 12th the OMBAC (Old Mission Beach Athletic Club) website will break everything down for you in plain language to many simple questions. One such FAQ reads, “Can I come to the tournament and act like an idiot, start fights, and break the law?” -the answer is of course “No” and mentions that there is private security and well as SDPD presence on-site for the tournament. The OTL tournament is an all ages event and free to attend as a spectator, but it is too late to sign up a team for the event. There will also be food (and non-alcoholic drink) vendors on-site but you can also pack your own food. In fact, an elaborate tailgating spread is not an uncommon site at this event. OTL is a San Diego outdoor signature event that gives full permission for all ages to play, have some fun in the sand and sun and enjoy the beautiful San Diego summertime. The event usually draws large numbers of attendees which are not just the competitors (or teams) but friends, family and just fans as spectators. The OMBAC website also has parking (and RV) information as well as three free shuttle points to and from Fiesta Island. Now to let you in on a little secret that separates the men from the boys and the girls from the ladies at this tournament -that is the SOS (Secret Of Success). The definition of SOS is popularly Save Our Souls or Save Our Ship, but either way an SOS can be considered a savior, and that savior is a relaxing cruise on the water, with your BYOB and friends and family, as an ideal way to wrap up the day, celebrate your teams advancement or prolong the fun of the day! Seriously taking a cruise aboard a yacht, with a cold one at the end of the day is the perfect way to go big and hit a home run with your friends, family and teammates, truly an SOS for yourself as well. 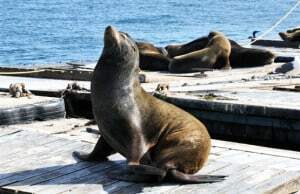 San Diego Boat Tours has various sized yachts for small, medium and large groups which are all reasonably priced to take a leisurely cruise and cool off in the ocean air, ahhh! In addition to the July 1st notice that BYOB is back for OTL, the “No B’s”-are still being enforced-which include No Bottles, No Bicycles, No Babies, No Boas, No Bad Attitudes and No Battles (fighting), Boating however is encouraged!